Perth has been swept up in a proverbial ramen storm in recent months with specialty ramen chains like Ippudo and Ramen Keisuke Tonkotsu King opening up alongside longtime neighbourhood Japanese restaurants where ramen just is one of many offerings. Ramen is a Japanese noodle dish topped with various ingredients. The broths are what make the dish stand out and you can get it in four classic styles - Shio (salt), miso (fermented soybean), tonkotsu (pork bone) and shoyu (soy-sauce), as well as rarer offshoot variations. Best of all, you can find all four classic styles and more all across Perth. So without further ado, where in Perth can you find good ramen? Ramen Keisuke Tonkotsu King is Perth's latest international high-profile entry into the ramen scene and the queue to enter the restaurant is rather intimidating. The restaurant only seats 25 people at a time and turnover is relatively fast. 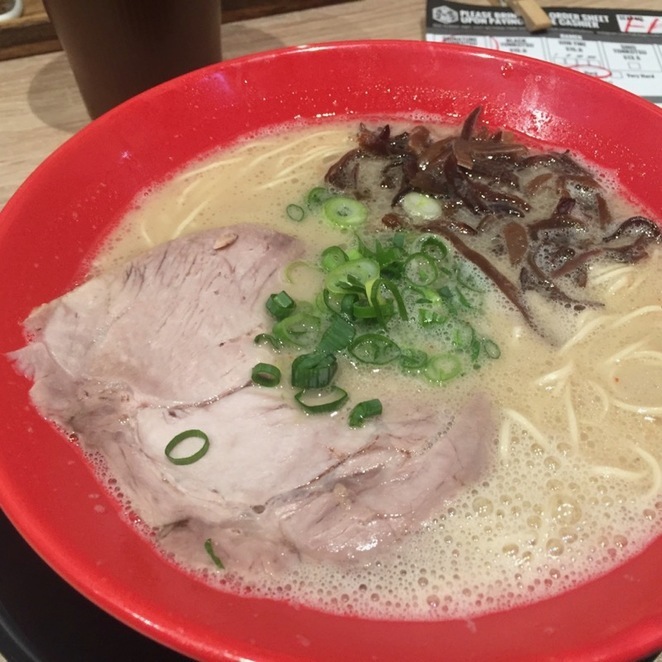 As per their name, they only serve the tonkotsu style of ramen and their broth is extremely rich, porky and oily. Complimentary pickled bean sprouts and boiled eggs are available for all diners. Ippudo is another award-winning international ramen chain. In my opinion, their tonkotsu style ramen is the gold standard in Perth. The queue to get in is usually long but not insurmountable. If you do manage to find your way there outside peak hours, there are no problems being seated right away. Ippudo also only serves tonkotsu style ramen. 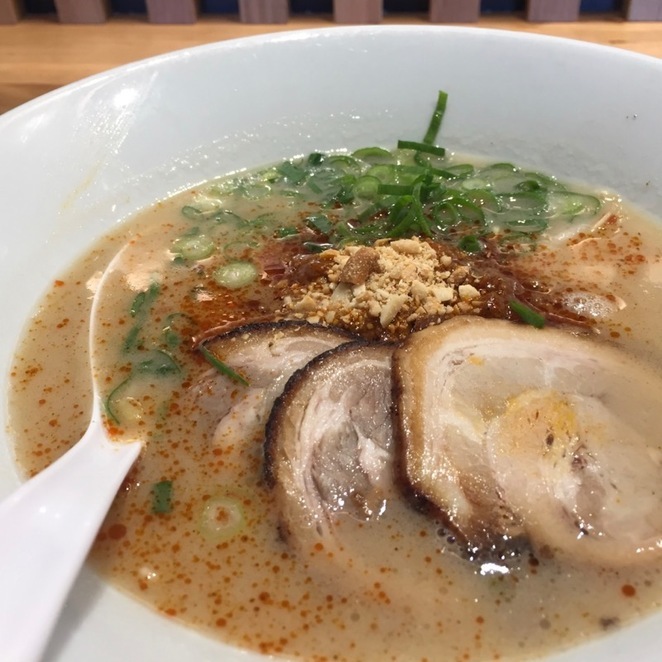 While Ramen Keisuke's porky broth will hit you like a charging boar, Ippudo's broth has a balanced, well-rounded flavour that is akin to a docile piglet nuzzling at your calves for attention. Ramen is the obvious star of their show, but you can also order a wide range of other dishes from salads to sushi to desserts. Nao Japanese Restaurant was the ramen place to go before all the other young upstarts in town and it still is. 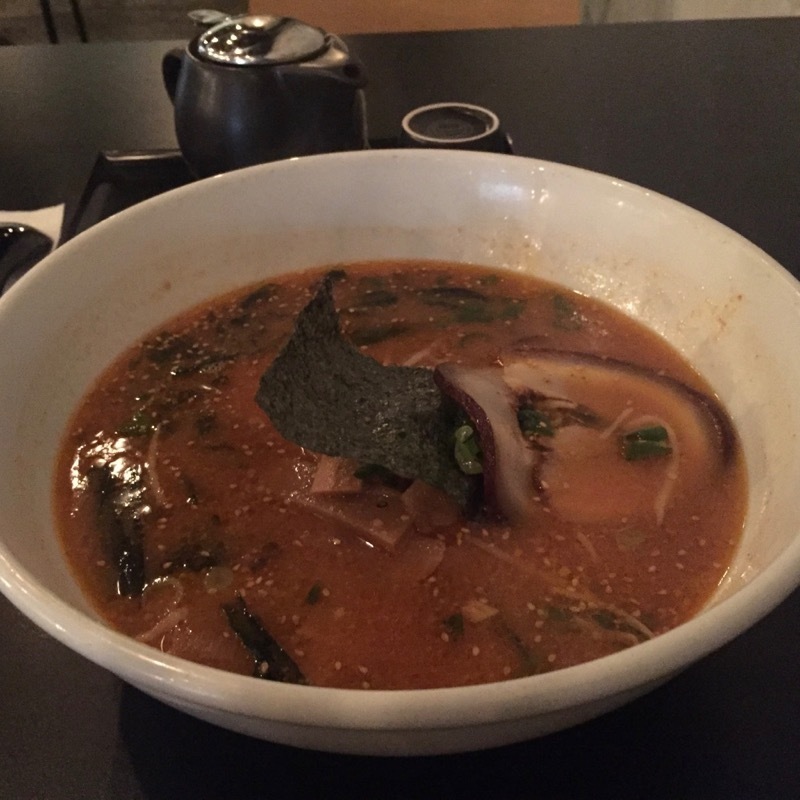 They serve an outstanding miso ramen, as well as the shoyu and shio style broths. What sets them apart is their range of handmade noodles which include a standard egg noodle, a green spinach infused noodle, a red chilli infused noodle and even a black squid ink infused noodle. 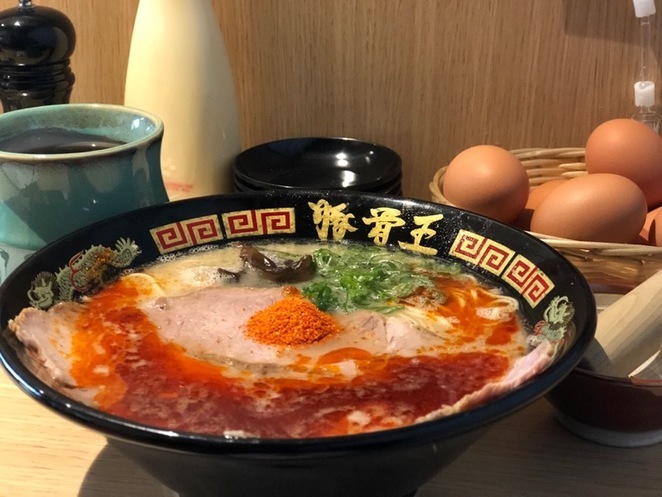 Hakata Gensuke in East Victoria Park is an award-winning ramen chain from Melbourne and specialise in tonkotsu ramen and tsukemen (a dipping noodle). Don't be turned off by the queue outside as it actually moves really fast. Their noodles are solid, and you can't really find fault with their offerings. Ramen Samurai is a solid contender for good ramen in Perth. The best thing about this place is the ability to make reservations and avoid the queues other large joints seem to be so fond of. When the lines are long at the nearby Hakata Gensuke, this place is more than a worthy substitute. They do your classic miso, shoyu and shio ramen, and you can even find variations such as kimchi ramen to the blazingly hot "devil's ramen" here. Kai Japanese Dining and Takeaway is a Japanese restaurant in Bull Creek and ramen is only one of their many offerings. They serve tonkotsu and miso style ramen and the best part about them is the price of ramen is cheaper than most other joints. Oishii Ramen in Myaree had pretty long queues when it first opened. While they do solid ramen, you can get better elsewhere. These are just a few of the available ramen spots in Perth and there are plenty more I've not had the chance to try yet, especially north of Perth. Where do you reckon is best ramen joint in Perth? Which joint is worth queueing for? And where can we avoid queueing? Let us know in the comments. There are many good ramen places you can find in Perth. But you cannot pass the Tonkotsu King in Hay Street opposite to QV1. The flavour of the soup is so intense but won't make you thirsty that you cannot find anywhere else. They have modified the tradition chashu which you won't find it too fattening to eat. I have to wait half an hour every time i go there but it is worth waiting for. Tonkotsu King is fully recommended.